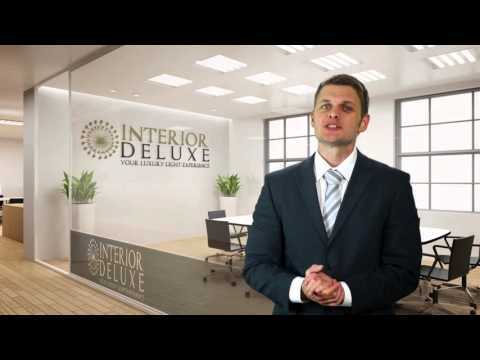 Learn more about Pendant Lights by Watching a Video! Initially, you should think about how and where you want to use your new light fixture, and what kind of light you want it to give off. Do you like soft light that provides comfort? In this case, large objects that emit light in all directions, creating a certain aura, and being at the center of attention, are viable options. You may also like focused zone lighting, which is preferable for the dining room table. Here, the selection is even greater. It ranges from simple lampshades that cover your lamp to technologically advanced and creative solutions of any size or cost. The third type of pendant light is space light, which is used as background lighting for your room. Many of the available lamps emit light upwards toward the ceiling, illuminating the room indirectly in a comfortable manner. Lights pointed downwards provide zone light, while lights pointed upwards generate a relaxed atmosphere. Pendant lights are especially useful in rooms with high ceilings, or in places where you don’t have to walk underneath them; for example, near a wall or as a spotlight above a sideboard. A dangerously low-hanging lamp can be avoided during the planning stage. Chandeliers serve as a prime example for this. In lobbies with high ceilings, bedrooms, or large bathrooms an elegant pendant light can act as a focal point. They also can be used to structure hallways visually, and they look quite appealing when hung in patterns. One of the ideal places to hang a pendant light is, without a doubt, the dining room table. Be sure to use focused, no-glare light, mounted above the table’s center. You always want to see what you eat, as you eat with your eyes first. Depending on the length of the table, several lights, or one long light fixture might be necessary. Avoid an asymmetric array, like this, can lead to imbalance during dinner. In particular for dining table lamps, which are always right in front of one’s eyes, it is appealing to choose lights that feature well thought-out design and quality materials. In any case, a beautiful object above the table accentuates its meaning. The best choice is a dimmable light, as more brightness is required during the meal. After dinner, when enjoying the evening with a glass of wine in a relaxed atmosphere, dim light is more pleasurable. In order mount a pendant light you can’t shy away from drilling a hole in your ceiling. It is important that you determine the exact location of the lamp ahead of time. As you can imagine, pendant lights are much less flexible than floor lamps, which can easily be rearranged. Lights mounted to the ceiling tend to stay in the same spot for years. Do not be afraid to move them, however, if the setup of your living space has changed. Where to hang your new pendant light? Give your interior an instant glow with contemporary pendant lighting fixtures. We have many light fixtures for you to choose from. A leading manufacturer has manufactured each of these. They also come in a variety of colors, styles, and materials. Pendant lights are an essential light component for any home. The light fixture hangs from the ceiling suspended by a chain, cord, or metal rods. They are mostly used in multiples and suspended in series, usually in dining rooms and kitchens. At Interior-deluxe, you can find different types and sizes of pendant lights. You can find an exclusive range of pendant lights by well-known brands such as >Alma Light >Catellani & Smith >Decor Walther > Santa & Cole > Tobias Grau > Zaneen Panzeri, and many others, all of which represent a perfect fusion of elegant design and excellent functionality in their products. We offer different varieties of pendants that you can choose according to your preferences. If it’s a stunning visual impression you want to make while illuminating the room, the Mini Pendants would be an excellent choice. These pendants are perfect for the major locations such as in the counter area, bar, or dining room. The mini pendants can be staggered or hung at the same height. Whichever way you decorate the rooms, the mini pendants will offer stunning lighting arrangements. For instance, Sweet Light Pendant by the Italian brand Catellani & Smith is a spectacular lamp, with a ball formed out of aluminum wire that shines from the inside. Another great mini pendant is the FlyCandle Fly! Suspended Candle designed by George Baldele for Ingo Maurer. It looks great, especially when hung over dining tables, appearing to be suspended in the air as if by magic! If you like something mellow, consider lighting up the rooms with mini pendants such as the Cubi Pendant Light designed by Ufficio Stile/Tre. The suspension mounted light features a satin white diffuser that is made of layered glass. It is perfect for halogen lighting. This elaborately designed pendant looks great in any contemporary settings, significantly enhancing the visual appeal of the room. If you want something fancier, take a look at our Multi Light Pendants. The Multi Light Pendants consist of multiple mini pendants fixed to a single canopy in different formations such as square, linear, circular, or rectangular. Looking for a pendant with adjustable height? Our Adjustable Pendants Lights would be the perfect fit. These lights are ideal for hanging above office desks, dining room tables, kitchen counter, and even pool tables. You can customize the height of these pendants by pulling the counter weight bar. If you want to lengthen the suspension light pull the counterweight bar down. To shorten the pendant light, push the weight bar upwards. Our extensive collection of adjustable pendant lights boasts of a variety of shapes and designs. From the modern and ultra stylish to contemporary and straightforward, you can find a pendant light suited to your taste and preferences. Some examples of stylish and stylish adjustable pendants that you can find in our collection include Ambra pendant light 4536 from Linea Light, Medea 4 Pendant Light from Schuller, and Urano Pendant Light from Schuller. Are you bored with the existing look of the rooms? If so, adding Drum Shade Pendants offers a quick and easy way to update the décor and rock of the room. These lightings are designed in a way that looks contemporary and chic at the same time. The pendants offer a rustic charm that improves the visual appeal of any room. For those of you that want to add a modern touch to their homes, Pendant lights with LED lighting will best serve the need. The 21st-century lighting is ideal for adding charm, sophistication, and style to the room décor. With this lighting installed in your house, you can also save on utility bills as LED lights are extremely energy efficient. Going for an elegant, minimalistic approach and want to illuminate a large room with a single light? Check out our extensive collection of Large Pendant Lights. These lights bring the bold and beautiful look to any house. They look fantastic in large kitchen or offices. Examples of ultra chic and beautiful large pendant lights include, Formosa C2 pendant light from Anton Angeli, Fil De Fer LED Pendant Light from Catellani & Smith, and Diamante chandelier from Marchetti . Finally, there’s our line-up pf Dome Shaped Pendants, featuring an inner shade that directs light in a downward direction. The slim and elegantly designed dome-shaped pendants provide the perfect combination of function and form. Forchini PD-2 Suspension Lamp from SLV Lighting, Empty 439 LED Pendant Light from Oluce, and Cupole Pendant Light 6382 from Linea Light are some of the best examples of dome shaped pendant lighting that you can buy to illuminate your rooms. You can quickly inject effervescence and modern style and ambiance into your rooms with well-placed pendant lights of different size and design. Our extensive collection of pendant lights is perfect for various purposes from bright task lighting to sultry mood lighting. These are available in a variety of colors, design, and materials that you can select to complement the home décor perfectly. Still not sure which Pendant Lights to get? Call us today on +1-866-477-1345 and our ALA certified lighting experts will provide you with inspiration and guide you through the process! Sleek, elegant, and ultimately modern, contemporary pendant light is a perfect choice for those who enjoy unique lighting solutions. Suspended gracefully from the ceiling, pendant lights make a bold statement without occupying precious floor space. Read our How to guide about How to shop for pendant lights or learn some tips about how to choose Pendant lights by our editors below. Whether round, square or linear; whether slender or bold: pendant lights are focal points in any room and at the push of a button, they turn into hovering, glowing objects. An ideal location for a pendant light is above the dining room table. Be sure to use focused, no-glare light, mounted above the table’s center. Large pendant lights rarely fail to leave an impression, as a glowing object floating at eye-level is very hard to miss. Of course, size and emission of light in all directions are important factors for this to hold true. Small light fixtures have the opposite effect. In the dark, they can fade into small, discreet, but bright light emitters. An inglorious exception is given by the ordinary light bulb, which aimlessly shines in all directions dangling from its socket attached to a cable. This typically happens when people forget to buy a simple lampshade after a move. Pendant lights exist in many variations ranging from reductionist and single slender lamps to “classic” round or cylindrical lights and all the way to large crystal chandeliers with dozens of light sources. High-quality models are designed for the desired effect to improve the mood in your space, especially when they are big or sculpture like.